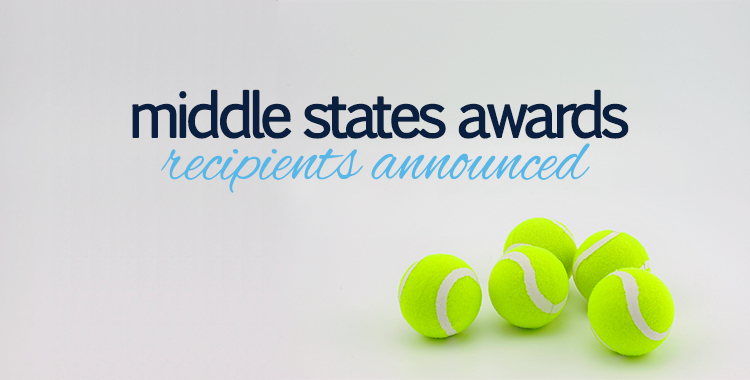 USTA Middle States this week released its list of award recipients from 2014, recognizing some of the top tennis individuals, coaches, players and advocates from across the Section. Award recipients were chosen through a representation of USTA Middle States volunteers and staff, working together to compile nominations from each of the six Middle States districts: Allegheny Mountain (AMD), Central Pennsylvania (CPD), Delaware (DD), Eastern Pennsylvania (EPD), New Jersey (NJD) and the Philadelphia Area (PATD). Recipients will be honored at their respective district award ceremony, which will take place on various dates between January and April. A schedule for the district award ceremonies can be found below. For more info on the events, or for media requests, contact Michael Gladysz at gladysz@ms.usta.com or call 484-302-0759.